Healdsburg Door & Sash Company, a division of HLC Incorporated, are the experts in helping you with everything from complex entry door systems, electronic security doors and complete pre-hung doors to millwork orders precisely built to your specifications. From a DIY project to a single door, a spec home, a custom home or an entire sub-division we’re happy to be of service to you. Our showroom at Hudson Street Design of Healdsburg is stocked with a wide range of doors and window products, plus cabinetry, millwork, finish hardware and much, much more. 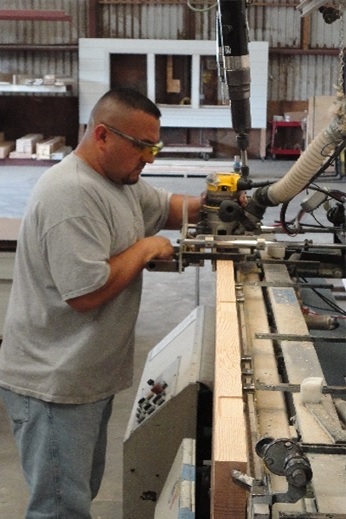 We offer the best choice to provide you with the largest array of door and millwork selections in Northern California. We pursue authenticity in design, materials & craftsmanship to find the unique or rare item that makes your project truly exceptional. If we don’t stock something you’re looking for, we’ll find it for you – we never say we can’t find the exact piece of hardware, millwork or obscure component for doors & windows you’ve been searching for. Our long-term supplier relationships, deep understanding of our business and caring, committed employees make this possible. If on-time delivery, meticulous workmanship, deep product knowledge and a friendly, helpful staff is important to you then Healdsburg Door & Sash is looking forward to being your trusted partner. Hudson Street Design, a division of HLC Inc., is your trusted partner for all your building needs. We're staffed by experienced, highly trained professionals and offer the finest product selection in Sonoma County.